I was born with a sweet tooth. I would crave for some chocolates and cakes especially on a busy day. Pure Dark chocolates and those with nuts and dried fruits like Goya with raisins are my favorites. It gives me the extra energy for the day. Aside from chocolate, a slice of light and moist cake such as the new Kumori Salted Cheese Yakigashi is perfect to go with a cup of brewed coffee. Speaking of Goya chocolate, what's your favorite variant? I grew up loving this Filipino chocolate brand. Over the years, we've seen how it innovates. There are several variants with nuts and fruits. You may opt to have the Goya Dark Chocolate which has less sugar but pure chocolate. How about the Goya spread? Have you tried it? Recently, Goya released its latest TVC with the theme "A Taste of World Class" with our very own Miss Universe Pia Wurtzbach as the brand ambassador. 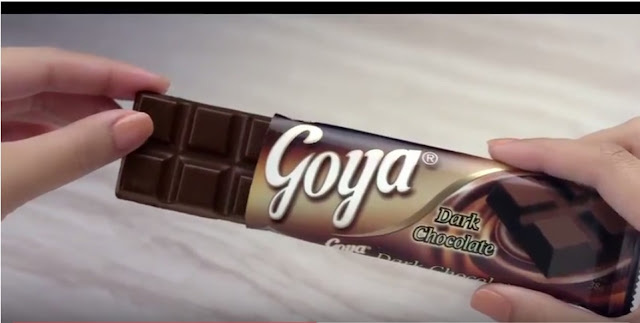 Just like Pia, even if I'm surrounded with variety of imported chocolates, I would still go back and choose my childhood favorite, Goya chocolate. The price points remains affordable for every Filipino even with some changes in its packaging, I love the brown and gold packaging though, classic but with a touch of elegance. How about you? What's your Goya chocolate story? My favorite Japanese Bakery in the Philippines sent me a lovely box with their newest product, Kumori's Salted Cheese Yakigashi. 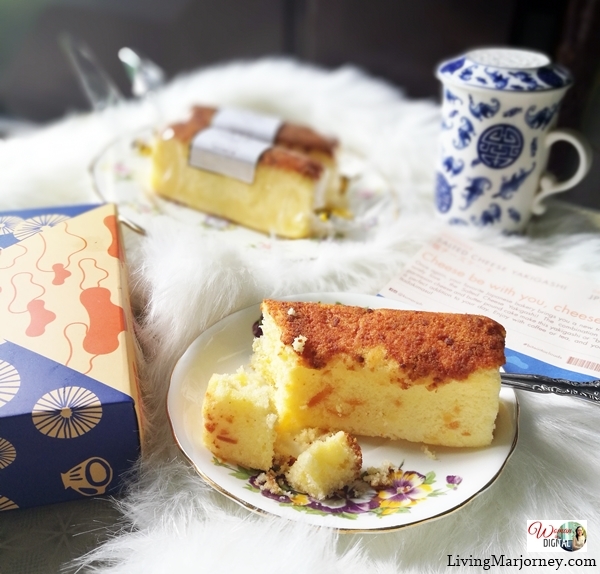 This Japanese Salted Cheesecake is made of premium Parmesan cheese and butter pound cake. I like how Salted Cheese Yakigashi is light, buttery and moist. It's available per slice and in a box of six. Kumori's Salted Cheese Yakigashi is now baking at your favorite Kumori Philippines branches. If you miss Goya Chocolate, I suggest you try the Pure Dark Chocolate. There you go, two of my recent favorite dessert and snack. How about your? What's your sweet treat lately?